Ten Things I Heard in Church: Sadly, Only One is a Lie! 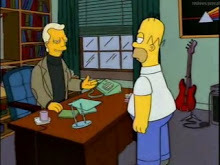 Hey, you may have heard about the meme going around on Facebook, where you list ten bands you’ve seen, with one of them a lie. Crusty could certainly throw down in this area. 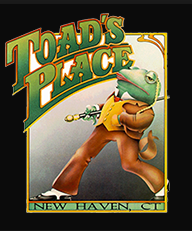 COD spent seven years with Toad’s Place in New Haven, CT, just a short drive away and saw all sorts of bands there. Crusty then lived in the Boston area in the mid 1990s, when places like the Middle East in Cambridge, the Rathskellar in Kenmore Square, and the Paradise on Commonwealth Ave all had great acts coming through – let alone the places on Landsdowne Street. Kenmore Square now makes me feel like I’m in Toronto, it’s all shiny and clean and there are no record stores but all sorts of shops my grandmother would have liked. Favorite show: They Might Be Giants, September, 1990.
perceive Crusty, but it’s actually true ( GO BIG GREEN! ). Then there's the related "I Never" drinking game, where you say something you never did, and anyone who has done that has to drink. It can get into Who's Afraid of Virginia Woolf levels of revealing dysfunction if you have a bunch of people who know one another pretty well. Another aspect which perhaps makes this popular is the humblebrag aspect to it: look at all the awesome things I have done, all the awesome bands I have seen. This shows I am more hip/cultured/urbane/cooler than you. There’s nothing wrong with the humblebrag in moderation, so long as one isn't overbearing or annoying about it – we all do it, in varying degrees, and there’s nothing wrong with having a life worth living and sharing that. So here's the list. Either things I have personally heard myself or people have shared with me. Can you pick the only one which is a lie?